‘I will not be seeking re-election in the October 2017 elections. I will be on my feet everywhere in my own little way to campaign for women listed and certified by the National Elections Commission as candidates to participate in the ensuing elections,’ Sirleaf said in a media statement issued early August. Apart from MacDella Cooper, the former fashion model turned humanitarian running for the presidency, just 15.9 percent of remaining candidates standing for vice-president and seats in the House of Representatives are women, according to the commission’s figures. Sirleaf said she owed her own victories to women who came out in force to vote for her in 2005 and 2011, as she unified a nation emerging from the ashes of a civil war that ended in 2003. 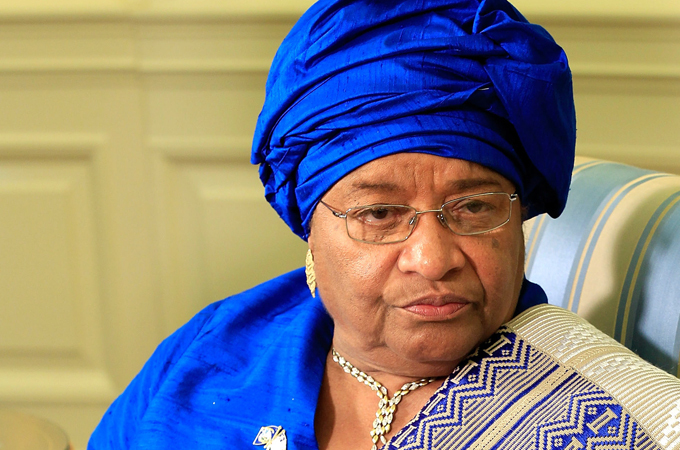 She would be ‘reciprocating the Liberian women who stood under the sun and the rain — telling the Liberian people that we, the women of Liberia, this is our time,’ the statement said. Widespread illiteracy and discrimination based on gender also limit women’s involvement in public life in Liberia, according to UN Women. Joseph Boakai, Sirleaf’s vice-president, is seeking the top job for the ruling Unity Party based on the record of peace and relative stability Liberia has experienced since Sirleaf was elected, and while he has received her endorsement, it is not clear if she will actively campaign on his behalf.